Ogre was running so fast toward audience of the event. He’s got a kind of charming face though Lol. 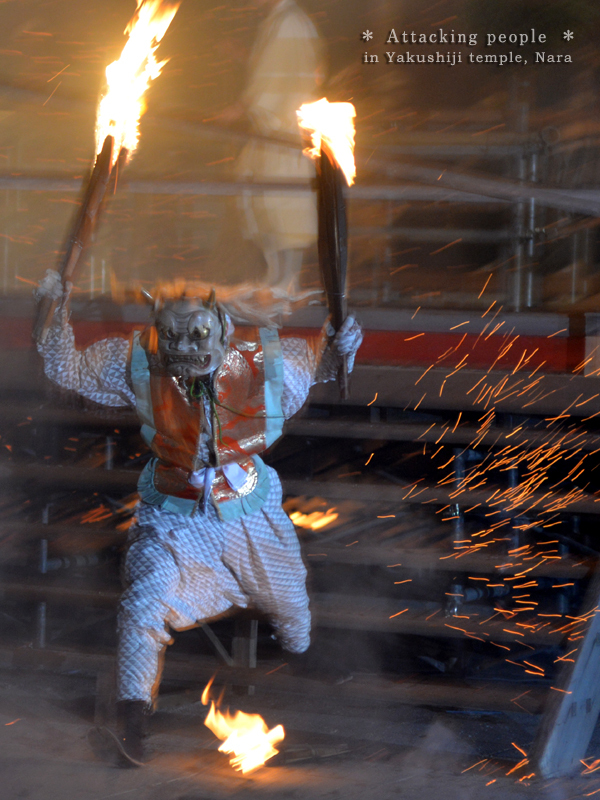 Taken is Shuni-e, Oni-oi event at Yakushiji-temple.